US Democratic presidential candidate Bernie Sanders is on the warpath against private prison contractors. “Corporations should not be allowed to make a profit by building more jails and keeping more Americans behind bars,” he wrote on Facebook in August. The following month he introduced a bill in the Senate, the justice is not for sale act, which would block the federal government from collaborating with these private firms. “We cannot fix our criminal justice system if corporations are allowed to profit from mass incarceration,” Sanders argued. America imprisons more people than any other country in the world. 2.3 million are currently in prison, a 500% increase over the last 30 years. African-Americans and Hispanics are disproportionality represented and private companies are reaping the rewards. The major corporations involved, CCA and Geo Group, have had minimum occupancy requirements signed into their contracts in many states’ facilities. Serious prison and immigration reform is not in their interests. But Sanders is determined to eradicate a business model that guarantees huge numbers of prisoners and immigrants remain little more than dollar signs. The industry has deep pockets and well-placed connections. Two leading presidential candidates, Republican Marco Rubio and Democrat Hillary Clinton, are close to lobbyists for CCA and Geo. Without taking financial incentives out of the justice equation, it’s impossible to imagine meaningful reform and serious reduction for the most vulnerable locked up every night. Australians should look at the prisons debate in America with envy. Although its incarceration rates are far lower – except for Indigenous men, where the rate per capita is worse than during apartheid South Africa – the public discussion around the issue is poor and predictable. Neither the Liberal government nor Labor opposition talk about it. The closest we came was under Kevin Rudd who pledged (and failed) in 2007 to return immigration detention to public ownership when he took government. Today, British multinational Serco runs all the mainland detention centres while off-shore sites are managed by Transfield. Growing numbers of states are seduced by the false allure of outsourcing their prisons to overseas corporations. This message is propagated by some sections of the media. And in New Zealand, a Serco-run prison in Mt Eden is under investigation in relation to allegations of mismanagement. A majority of New Zealanders now want Serco kicked out of the country despite prime minister John Key defendingthe company. The private sector had a role to play he argued, because otherwise the public service would be “fat and happy, and that wouldn’t deliver the services Kiwis want”. Both conservative and some progressive politicians continue to falsely argue that outsourced facilities improve “efficiency” yet evidence from Australia and the USshows that workers rights, pay and benefits, let alone decent healthcare, food and conditions for inmates, often deteriorates when a private firm runs a facility. There’s no incentive to improve conditions when these benefits will negatively harm the bottom line. This is why the Bernie Sanders message of ending secret connections between prison corporations and the state within three years is a challenge to the Australian political and media class. Divestment campaigns in firms profiting from detention or prisons are growing locally and globally. It’s time for serious public debate, as is occurring in the US, on the benefits of rehabilitation and community service over imprisonment. Where is the Australian Bernie Sanders? Jimmy Mubenga died of cardiac arrest whilst waiting to be deported on board an Angola-bound plane at Heathrow airport on 12 October 2010. Fellow passengers heard Mubenga scream, “I can’t breathe” as he was restrained and pinned down in his seat. G4S guards forced his head down and restricted his breathing, despite Mubenga already being handcuffed from behind. 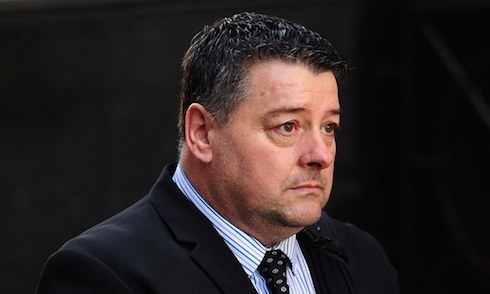 On 16 December 2014, three G4S guards were found not guilty of manslaughter. This Black History Month, we remember Jimmy Mubenga and publish an extract from Antony Loewenstein’s Disaster Capitalism exposing the institutional racism that acquitted Mubenga’s killers, and the government-approved, corporate unaccountability that means G4S still secures massive contracts, earning £6.8 billion last year. Jimmy Mubenga was an Angolan man killed by G4S on a British Airways flight in 2010 as he was being deported from Britain. 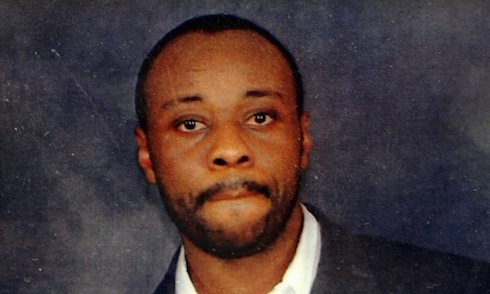 Three G4S guards were charged with manslaughter and acquitted, despite evidence emerging at their 2014 trial that they had forcibly held Mubenga down while he screamed: “I can’t breathe.” G4S whistle-blowers told a Home Office committee after Mubenga’s death that the company routinely hired individuals who were not trained appropriately, or who showed insensitivity towards vulnerable detainees. The potentially lethal technique used to restrain Mubenga had been flagged as dangerous, but this had been ignored by management. Other deportees also complained of rough handling by G4S employees, including a Zimbabwean man who alleged that he had been punched and kicked while handcuffed and wearing leg locks. With so many cases of G4S having hired racist employees, and report after report having found that the company had employed a disproportionate number of staff who displayed a callous disregard for people of color, it was reasonable to ask why the firm was not charged with corporate manslaughter when a person died in its care. Mubenga’s coroner, Karon Monaghan QC, understood what outsourcing meant in reality. In a far more humane assessment of the case in 2013, which forced a criminal trial after the initial inaction of the Crown Prosecution Service, Monaghan wrote, after reading the racist texts, that “the potential impact on detainees of a racist culture is that detainees and deportees are not ‘personalized.’” The sheer scale of the problem, exacerbated by years of state inaction, was revealed in a 2015 Institute of Race Relations report, Dying for Justice, identifying Mubenga as one of over 500 minority individuals who had died after an interaction with the police, prison, or immigration services, or one of their privatized proxies, since 1991.